BEIJING - China and Mongolia on Friday signed a document that outlines key areas of cooperation for the development of their strategic partnership in the medium and long term. 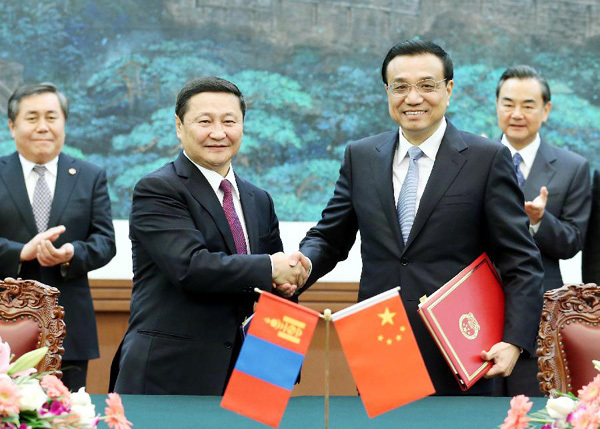 The document was signed by Chinese Premier Li Keqiang and visiting Mongolian Prime Minister Altankhuyag Norov at the Great Hall of the People in Beijing after an hour of talks. The two sides agree that the establishment of the Sino-Mongolian strategic partnership is a milestone in the development of bilateral relations while the signing of the new document will promote bilateral cooperation in various areas for the consolidation and further deepening of this partnership. 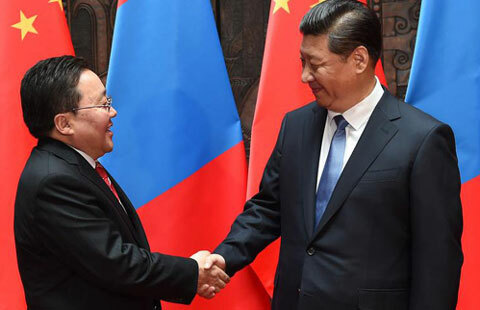 The Mongolian side reaffirmed that the government of the People's Republic of China is the sole legitimate government representing entire China. It supports China's positions on Taiwan, Tibet and Xinjiang. The Chinese side said that it supports Mongolia's status as a nuclear-weapon-free zone. The two nations agreed to carry out cooperation in military technology, fighting cross-border crimes and law enforcement. The two sides determined principles in mineral resource development, infrastructure construction and financial cooperation. 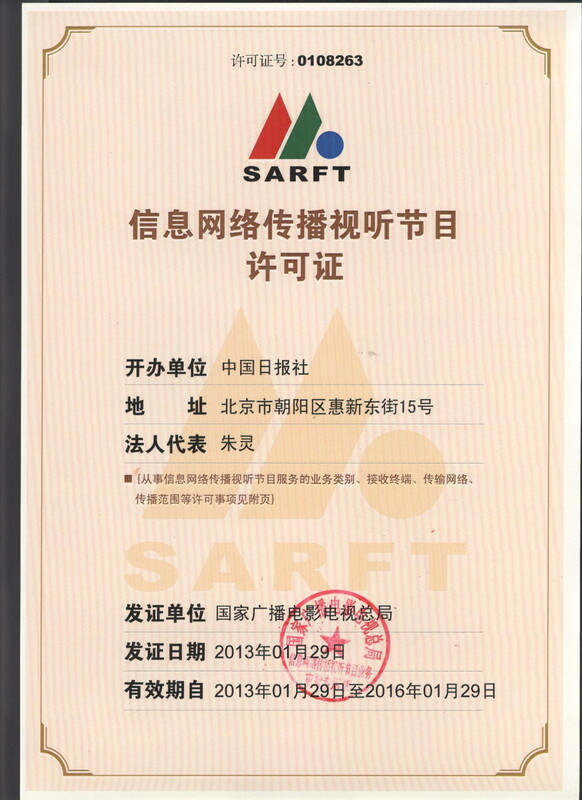 Mutual investment will continue to enjoy protection, particularly in environmentally friendly projects and high-tech. The outline elaborated on major projects in coal mining, railway construction and civil aviation, with legal and financial assistance to ensure progress. 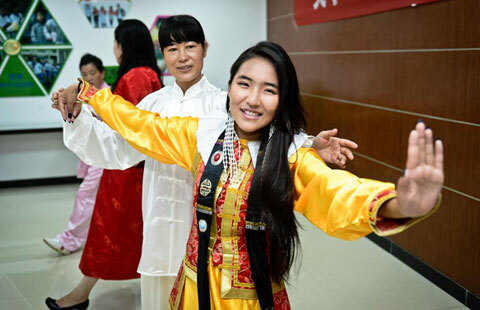 The Chinese side also promised assistance to Mongolia to strengthen personnel training, and to provide 1,000 scholarships for Mongolians over the next five years. The two countries agreed to strengthen communication and coordination on affairs regarding Northeast Asia's peace, security and development.